Lighthouse architecture is captivating. Aside from their practical purpose of guiding sailors away from shore lines at night, lighthouses have always occupied a special place in storytelling lore. They may not be lighting the way for sailors and captains anymore, but they still serve as beautiful and captivating landmarks. These seven abandoned and inactive lighthouses represent marine history, and stand as tall, quiet beacons to what was. Located in Italy, this Lighthouse sits at on the shores of the Adriatic Sea. Its tall white tower no longer shines light into the seas that surrounds it. If you ask us, nearby sailors are worse off for it! 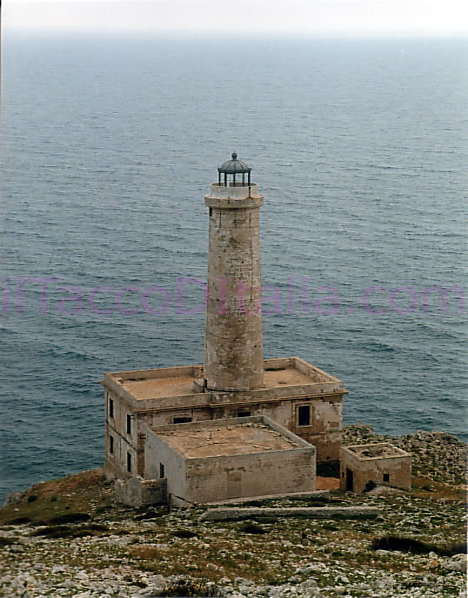 The lighthouse used to mark entrance into the straight of Otranto. 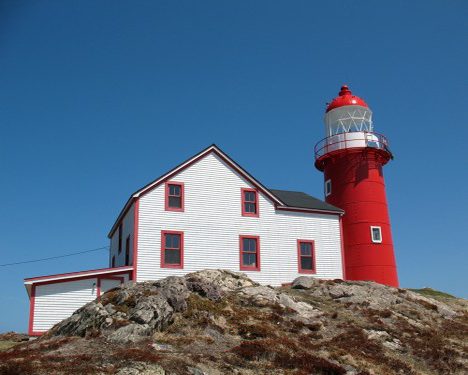 This beautiful lighthouse is a popular photo spot for beach walkers in North Whales. Holding true to the traditional look of a red-topped lighthouse, lovers of marine architecture are always captivated by its beauty. 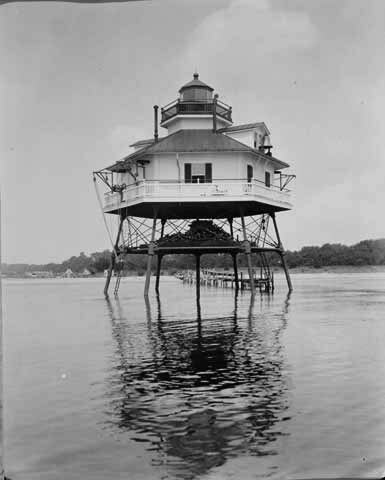 This particular lighthouse was likely unmanned in the days that its light still shone. This lighthouse is eerie yet beautiful, decrepit yet somehow captivating. Its timeless appearance paints a picture of a time long since past, when sailors were guided by its beam. A man must have operated this particular lighthouse, long before the days of automated illuminating. It’s a shame that it is falling apart, its legacy appears to be coming to a close. This peculiar looking lighthouse is located on Squaw Island, Lake Michigan. 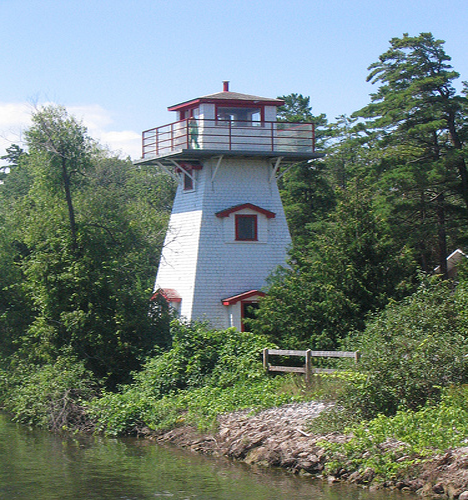 Kayakers can visit the tiny island and explore the exterior of this lighthouse, which is no longer in operation. Quite a beautiful home, one must wonder why it was ever abandoned. 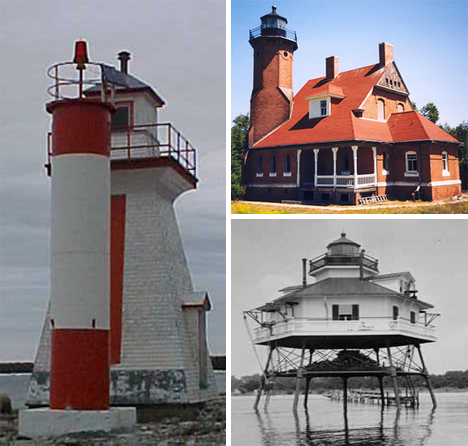 This stone-foundation lighthouse located in Canada looks to have been abandoned long ago. Sadly enough, no one seems to have tended to its upkeep. It is a shame, for it is quite beautiful and would likely make an excellent dwelling for those who love lighthouse style homes. 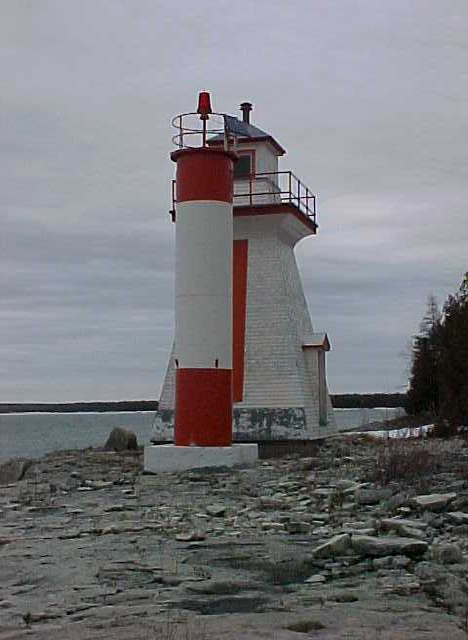 Another Canadian lighthouse, this one is located in Ontario. It has an unusual design about it and features two light towers instead of only one. This particular lighthouse appears to have been unmanned in the days of its operation. 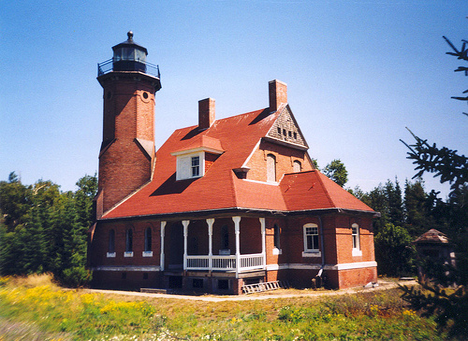 This lighthouse is situated on a lakefront, and served as a house for its owner during the days when it was still functional. It is hard to imagine a more soothing and serene place to live. 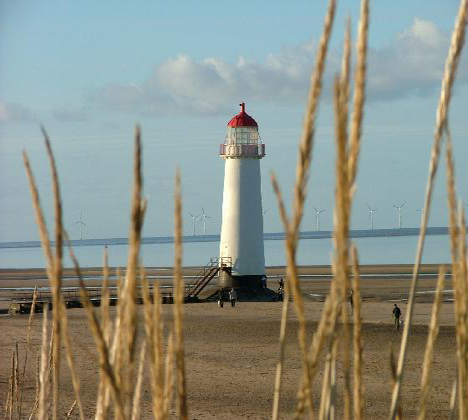 Its white and red colors are typical of lighthouses, and its elegant design makes it a true piece of architectural beauty.